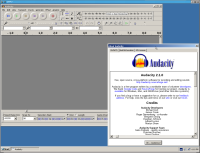 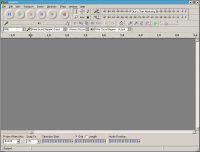 Microphone and speaker icons on Audacity 2.1.1 toolbars have a black background. 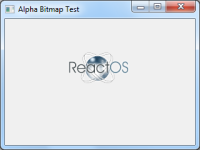 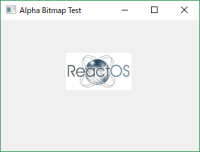 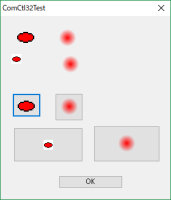 This is a problem with displaying of 32 bpp bitmaps within static control. 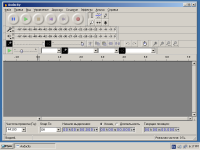 v6 comctl32.dll must use alpha blending for displaying of such controls. 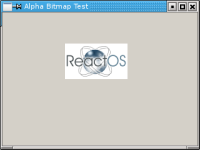 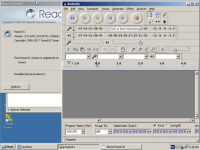 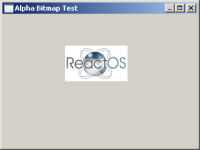 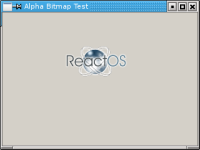 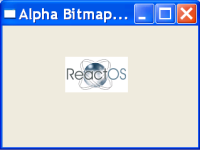 Here is the test, which works well in Windows 7 and Windows 2003 (gray background), and works bad in ReactOS and Wine 1.7.50 (white background).